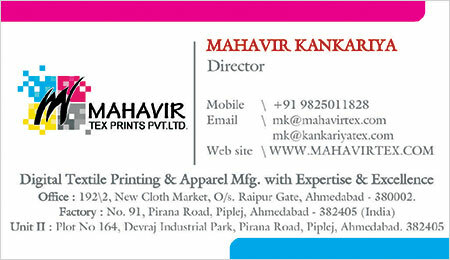 Powered by knowledge and expertise, Mahavir Tex Prints Pvt. Ltd. has carved a niche for itself in the textile printing industry. With a strong emphasis on quality and client satisfaction, the organization is leaving no stone unturned in serving the textile and fashion industry to its best. 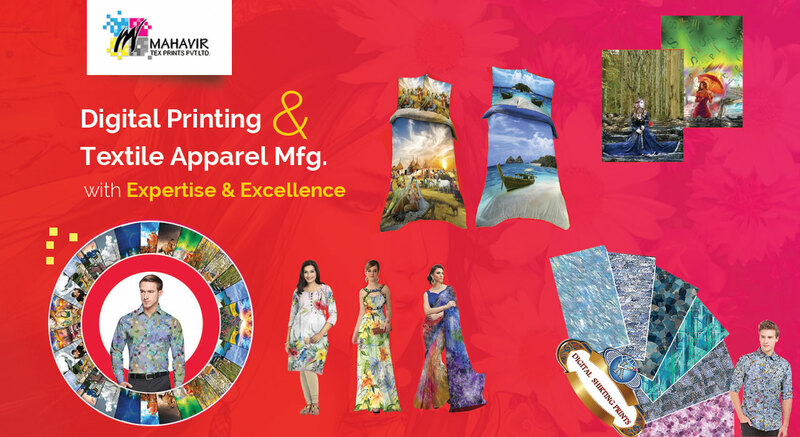 Specializing in top-quality printing for all kinds of fabrics, especially men’s shirts, ladies’ dress material and home textiles, Mahavir Tex Prints is well-known for its intricate detailing and supreme quality prints. Committed to exceeding client expectations and achieving the best results, the organization believes in building a strong, positive and healthy environment for its workforce through its safe working practices and structured initiatives. With a powerful global business presence in several countries, such as Bangladesh, Turkey, Sri Lanka, Vietnam and Brazil, the organization intends to stay at the forefront of innovation. Aiming to expand its global footprint, Mahavir Tex Prints is backed by state-of-the-art infrastructure and is driven by the passion to deliver top-notch products.